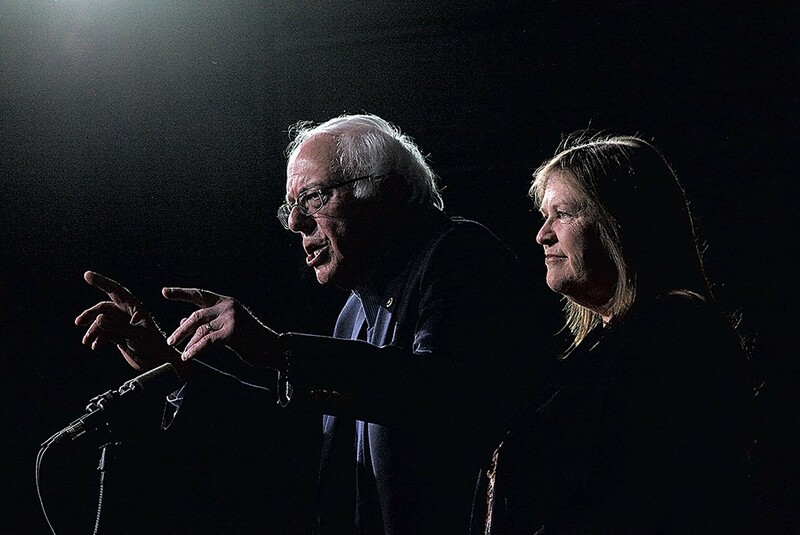 The Washington Post reported Monday that a federal investigation involving Sen. Bernie Sanders' (I-Vt.) wife, Jane O'Meara Sanders, "has accelerated in recent months" and is "gathering steam." In what appeared to be a previously unreported development, the Post wrote that prosecutors had subpoenaed a Vermont state official "to testify before a grand jury" about the matter in April. "That is the first public confirmation that prosecutors have sought to present evidence to a grand jury," investigative reporters Shawn Boburg and Jack Gillum wrote. But according to the state official in question, Vermont Educational and Health Buildings Finance Agency executive director Robert Giroux, and VEHBFA general counsel James Foley, prosecutors never asked Giroux to testify before a grand jury. And the subpoena itself, which Foley provided to Seven Days, makes clear that federal officials were seeking documents from the state agency — not testimony. "A personal appearance is not required and the subpoena may be complied with a CD/DVD or Documents by certified mail," Acting U.S. Attorney Eugenia Cowles wrote in an April 17 cover letter accompanying the subpoena. The federal request makes no reference to Giroux or any other state official. The distinction is important because federal prosecutors often use grand jury subpoenas to obtain documents at an earlier stage of an investigation. They typically do not call witnesses before a grand jury until they are seeking an indictment. After Seven Days questioned Boburg and Gillum about their reporting late Monday, the Post corrected its story and retracted the claim. For nearly a year and a half, federal authorities have been investigating whether leaders of the now-defunct Burlington College overstated pledged donations when applying for a $6.5 million bank loan to purchase a new campus. Vermont Republican Party vice chair Brady Toensing filed a formal complaint in January 2016 accusing O'Meara Sanders, who served as president of the college at the time of the 2010 loan, of federal loan fraud. She has denied any wrongdoing. Seven Days first reported in May that federal officials had subpoenaed documents from VEHBFA, which issued tax-exempt bonds in 2010 to cover the Burlington College loan. That subpoena, which the Post subsequently obtained through a public records request, confirms that "an official criminal investigation [is] being conducted," as Cowles wrote in her cover letter — but it does not suggest that her office was seeking grand jury testimony. According to the Post, it was Foley who confirmed that, in addition to the subpoena seeking documents, "prosecutors also issued a subpoena directing Executive Director Robert Giroux to testify before a grand jury that same month." But Foley told Seven Days Monday that the only such request the agency had received was the one calling for its files. "I don't know where [the Post] got the idea that there was a second one," Foley said. "I wouldn't have said that [prosecutors] directed Bob Giroux to come testify." Asked about the discrepancy Monday afternoon, Boburg said the Post was "looking into" the matter and "seeking clarification." The reporter said that Foley had told the Post "unequivocally" that Giroux "was called to testify before a grand jury and that he convinced prosecutors to accept the documents" instead. Two hours later, Boburg said his paper planned to "post a few changes to the story shortly." At 9:11 p.m., the Post removed all references to federal officials seeking grand jury testimony. It added an editor's note at the top of the piece that said, "An earlier version of this story quoted James C. Foley Jr., an attorney for an official with a Vermont bonding agency, as saying that his client was initially called to appear before a grand jury but that prosecutors later agreed that documents alone would be sufficient. Foley clarified late Monday, however, that the grand jury subpoena required only that documents be turned over." Kraig LaPorte, a spokesman for the U.S. Attorney's Office for the District of Vermont, declined to comment. The confusion may have stemmed from the fact that Cowles' office employed a cookie cutter subpoena form that is used both to request testimony and to request documents. Its title reads, "Subpoena to Testify Before a Grand Jury" and includes generic language instructing the recipient to appear at a certain date and time in U.S. District Court. But instead of checking a box labeled, "Person," the U.S. Attorney's Office checked a second box labeled, "Document(s) or Object(s)." Any and all records relating to the above transaction including bonds, purchase contracts, loan applications, loan files, loan payments, any and all fundraising efforts, pledges, donations related to purchase or loan efforts and any correspondence (internal and external, e-mails, memos, etc.) related to the purchase, loan(s) and bonds granted for the purchase. Foley said that after receiving the subpoena in April, he called the U.S. Attorney's Office to be sure he understood the request. "I wanted to clarify with them the fact that they didn't need Bob and they would be perfectly content with me delivering documents, and that's when they said, 'Yes,'" the attorney said. Foley said he provided the feds the same documents VEHBFA first turned over to Seven Days in 2014. He and Giroux said they have not heard from the authorities since. Whether it was accurate or not, the Post story quickly reverberated throughout the media ecosystem Monday. The conservative Drudge Report linked to the piece, and Fox News ran with a story entitled, "Federal probe reportedly seeking grand jury testimony." The Burlington Free Press took it a step further, reporting, "Grand jury convened in Burlington College investigation." The Free Press cited no sources other than the original Post report. Jeff Weaver, a spokesman for the Sanders family, on Monday called the original allegations "politically motivated" and said of the Post story, "It's not surprising to me that people want to make more of it than there is."